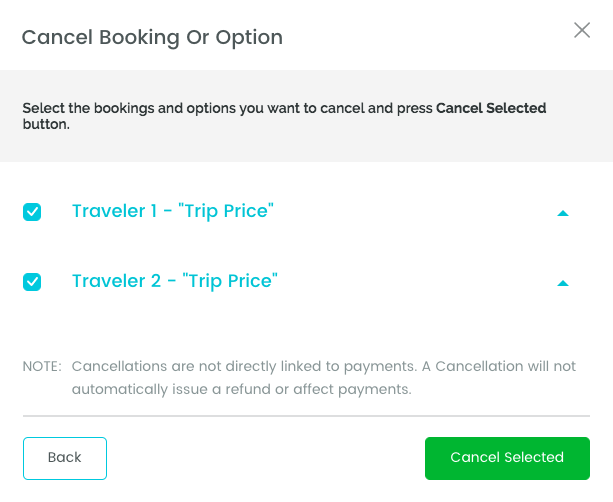 To cancel a booking please go to your trip dashboard and choose "Cancel Booking"
Select the participants that you want to cancel and click "Cancel Selected". 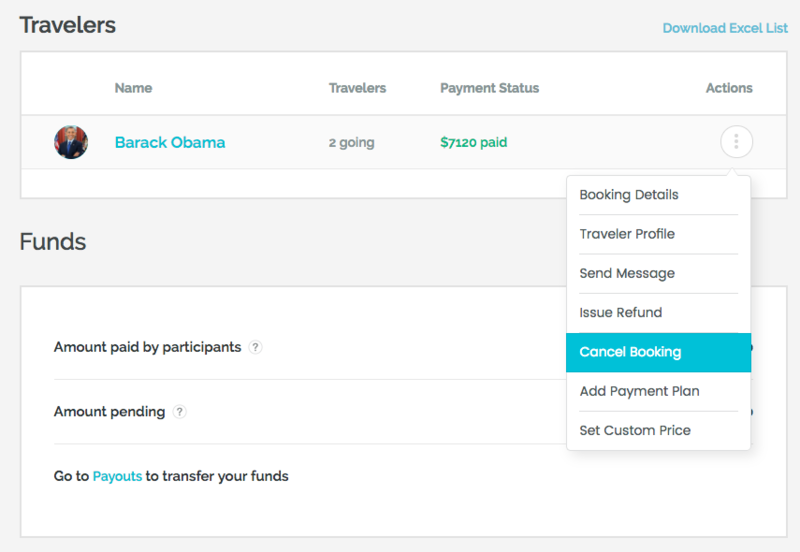 Confirm the cancellation in the second dialogue box by clicking "Confirm Cancellation". The bookings are now canceled and your participants will receive a notification email. Please note that this does not yet issue a refund! Click here to learn how to issue refunds. PS: Issuing a full refund will also automatically cancel the booking.